The title of this post was taken from the iCarly Theme Song as performed by Miranda Cosgrove. Tonight John wins the fun parent award. He let the kids make spaghetti tacos just like they've seen on one of their favorite shows, iCarly. I don't like mixing my food so I just had spaghetti, even that was a little difficult for me. My gross spaghetti story is for another post though. 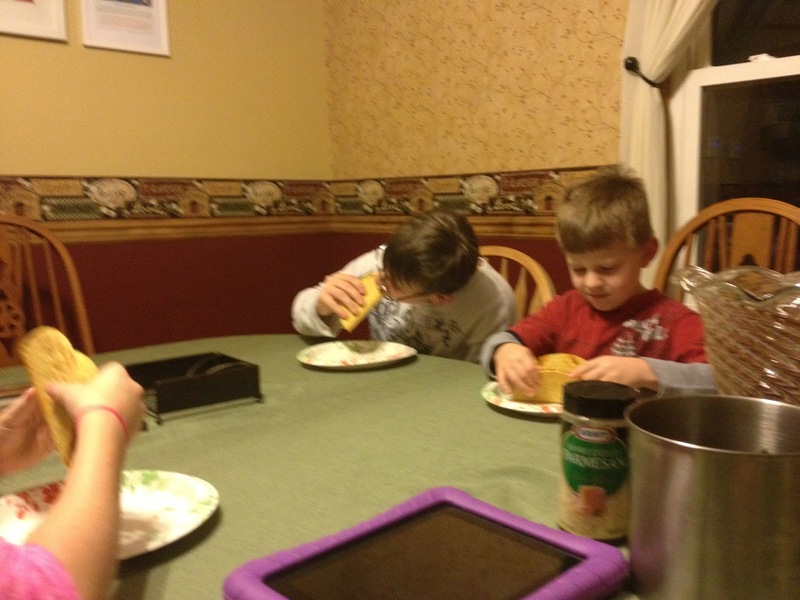 Here are pics of the kids and their spaghetti tacos. 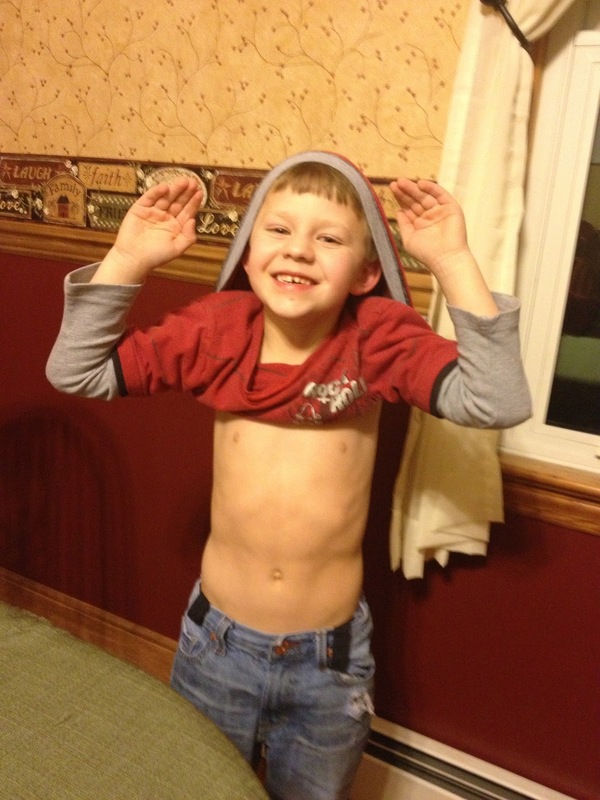 And just for the heck of it, here is a silly picture of Mason.